Jaclyn Johnson, author of the new book "WorkParty," shares expert career tips. Are you looking to turn your side hustle into your actual, full-time 9-to-5 job? Before you quit your day job to pursue your passion project, you have to ask yourself, "Am I willing to lose everything?" according to Jaclyn Johnson, the author of the new book "WorkParty," as well as founder and CEO of the women in business conference series, Create & Cultivate. Some people are using apps like Tinder or Bumble to boost their careers. American workers forfeited 212 million vacation days last year, data shows. (Courtesy Caroline Lee of Woodnote Photography) Jaclyn Johnson, the founder of Create & Cultivate, is out with a new book "WorkParty." "You have to ask yourself that question because that is what entrepreneurship is, it really is a series of ups and downs," Johnson told "Good Morning America. "So you have to be willing to put everything on the line." "But the sub-question to that is, 'Am I willing to gain everything?'" she added. "There are risks, and there are rewards, but you have to be willing to take both with each other." 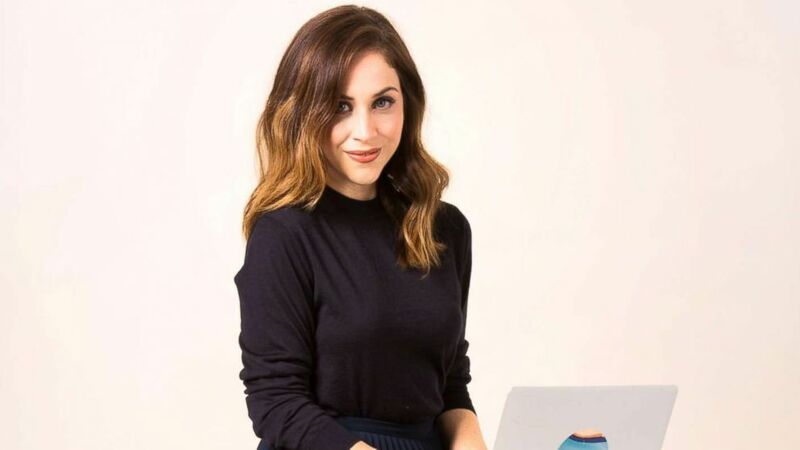 Johnson transformed her passion for helping women in the workplace into a multi-million dollar industry with the Create & Cultivate online platform and conferences, which have included speakers including Meghan Markle, Kim Kardashian and Issa Rae. "I bootstrapped both my businesses and turned them into multi-million dollar businesses," Johnson said. "So I am here to tell you how to take your side hustle, and turn it into your full-time gig." Here Johnson breaks down her top tips and questions you need to ask yourself for how and when you can turn your side hustle into your full time job. There are a few incredibly important questions you need to ask yourself when thinking of moving your side hustle into the spotlight. 1. Does my product already exist? Is there a reason that it doesn’t exist? Think about the validity of your idea and it's true market value. Whether it’s a physical product or, just for instance, a women’s conference. Does your idea/product make the market and the world a better place? Do your research. Look into patents filed, scour the internet and see if someone has tried it before. Find out all the reasons it didn’t work for them. 2. Am I offering the market a better version of something that does exist? Sub-question: If I’m really honest, is it really, truly, better? If the product exists in some form, you would be wise to get a second opinion here—an honest, trusted friend, family member, or confidant who can give you an unbiased opinion. 3. Am I willing to lose everything? But also, am I ready to gain everything? Success is two-sided. Alli Webb of Drybar put her and her husband’s life savings into the first location. The co-founders of Tone It Up took $3,000 and built their multi-million dollar business. Jeni Britton Bauer lived out of her car when she launched her first ice cream business, which -- you should note -- did not succeed. These women were willing to risk it all. That’s what being an entrepreneur means. Now the sub-question about "gaining everything" isn’t about money. It’s about incremental gains. The tiny wins, the late nights, the early mornings, eating your words because you messed up and also skipped lunch that over time adds up to make a business. You will not gain everything overnight. Is it all you can think about? This one is simple: If it’s all you can think about, it’s time to give it a go. If it’s all you can think about, it’s time to give it a go. "Whitespace" is the unique value your business adds to an industry. It’s innovation or another concept referred to as "disruption." I think of whitespace as a canvas of opportunity, as more of an emotional and instinctual theory than a line item in a dense business plan. - What can I do differently from others? - What does currently not exist that would serve a specific need? - What is an open arena to make money? How are people not capitalizing on something? - What are some characteristics that are unique to me, and how can I manifest those in my business? Memorize your elevator pitch and be able to deliver it with ease. Just one or two sentences that describe precisely what your company does and what your value proposition is. Know who is going to be in the room and know more about them than they know about you. Then use that information to create common ground and a shared language. For example: "I saw you attended NYU, I know you worked on that project," etc. Know your competitors as well as your own business and be able to speak to both eloquently. Understand the business of the person you are pitching and be able to throw around stats and recent campaigns you thought performed well and be able to say why. Read the room, and know when to move on from a slide and/or an idea if they aren’t loving it. In "WorkParty," I talk about the "ah-ha" moment -- The moment of zen when the idea strikes, and there’s a euphoric "ah." Kind of like a release into the universe, where everything—missteps, mishaps, mistakes—feels peaceful and makes sense. And then, a moment of laughter: a quick "Ha!" Because you think, that can’t be it! That is crazy. The ah-ha moment is much more manic than most people think. It’s a series of moments where you "ah" and then "ha" over the course of many weeks, many months, and then many years. At nearly every step of the way while launching a business, you question the legitimacy of what you’re thinking and doing, but you are propelled forward at such speed. So the big question is: How do you go from the "ah" to the "ha" to create a business? It’s pretty simple, really: You start.